submarine, the Nautilus, around the world of 1870 questing for science, exploration, and revenge upon the Imperialists! 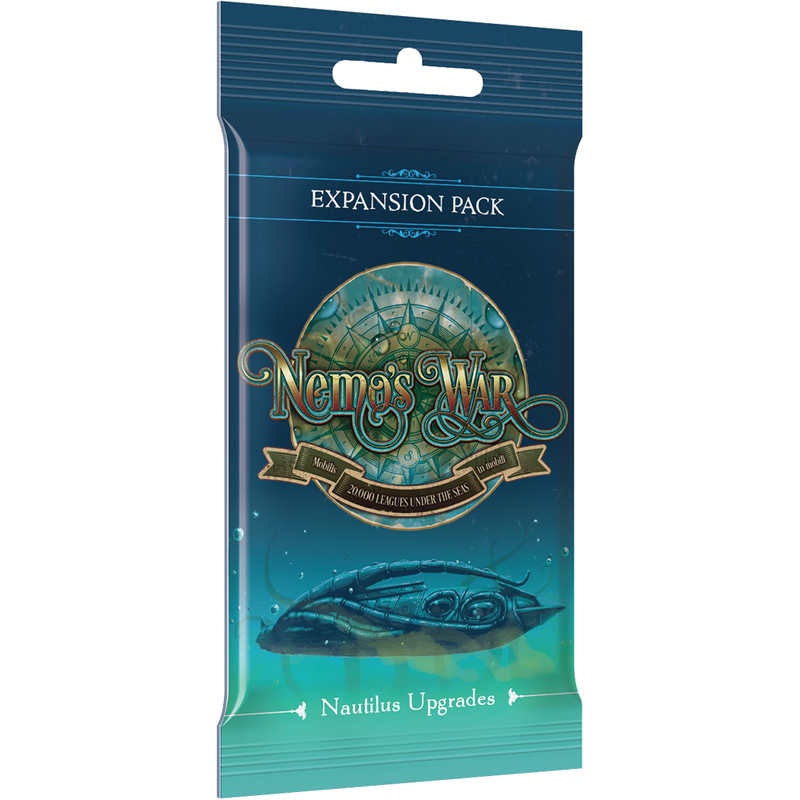 In this Expansion Pack, new upgrades await the Nautilus including the Clockwork Cipher, the Adventurer’s League, Nemo’s Manifesto, Prize Crew Quarters, and more! 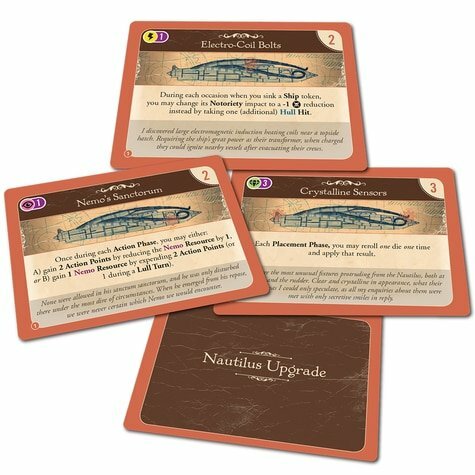 Sail aboard the Nautilus as you have never sailed with her before. 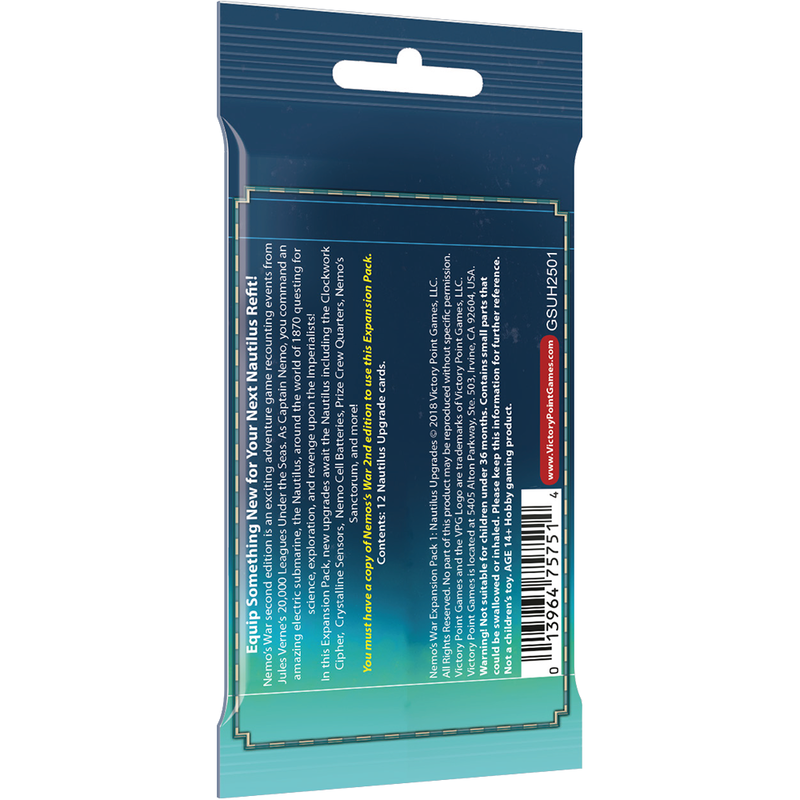 NOTE: You must own a copy of Nemo's War Second Edition to enjoy this Expansion Pack.